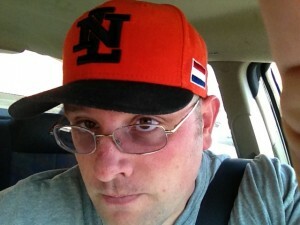 Chris is also a fan of the Dutch National Team. Mormon Baseball is pleased that Chris Henrichsen has agreed to join our staff. Chris is a long-time baseball fan. Growing up he collected the baseball cards of Baltimore Orioles players and Mormon baseball players. He still roots for the Orioles and whatever little league team his son is playing on. Chris, a former congressional candidate, has taught political science at BYU, BYU-Idaho, and Casper College. He blogs full-time at Approaching Justice. He will write occasional posts here. He will eventually write a post based on his sacrament meeting talk which interweaves Hugh Nibley and Cal Ripken. It is reported that he has been saying that for years.